Work while you wait. Put in the effort while you're waiting for your opportunity so that you're ready when it shows up. You want to be able to take full advantage of it when the time comes. See difficult differently. There's always two ways to deal with any situation : Either you evolve or you regress from it . Focus on what you can gain out of your situation and you grow. Focus on what you're loosing from that same situation and you don't grow. 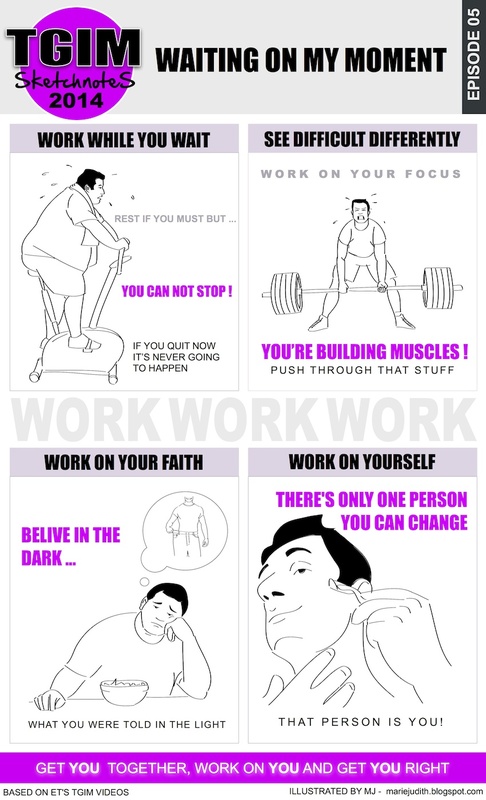 Work on your faith. Believe in yourself, believe in your worth, believe in your gift. He who says he can't and he who says he can are both usually right, so choose wisely. Work on yourself. At the end of the day, the only thing you control is what you think and do. Everything else changes according to that. You can't change people but you can change yourself. By doing that you inspire others to do the same for themselves. ET would not have been able to help other people change if he hadn't changed himself first. All you can be is a light for others to see what they are capable of.